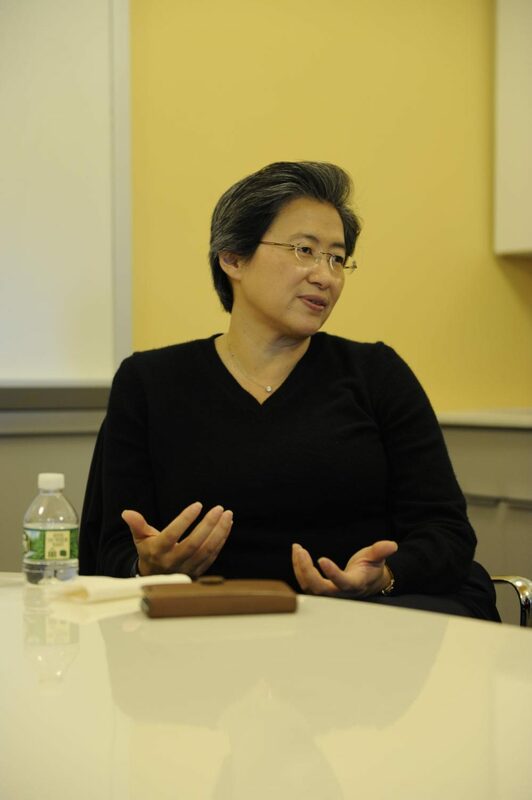 Lisa Su '86 answers questions about her career in a student interview. Dr. Lisa Su, now a celebrated American business executive and electrical engineer, once roamed the hallways of Bronx Science as a student. After graduating in 1986, she went on to receive her bachelor’s, master’s, and Ph.D. degrees in electrical engineering. Su would go on to hold engineering and managing positions at technology giants such as Texas Instruments and IBM, being named a “Top Innovator under 35” by the MIT Technology Review in 2002. Su became the CEO of Advanced Micro Devices (AMD) in 2014, a multinational semiconductor company that develops cutting-edge computer and graphics processors, a company she has remarkably turned around since its period of decline in 2012. Many have applauded her successful leadership in the technology world. 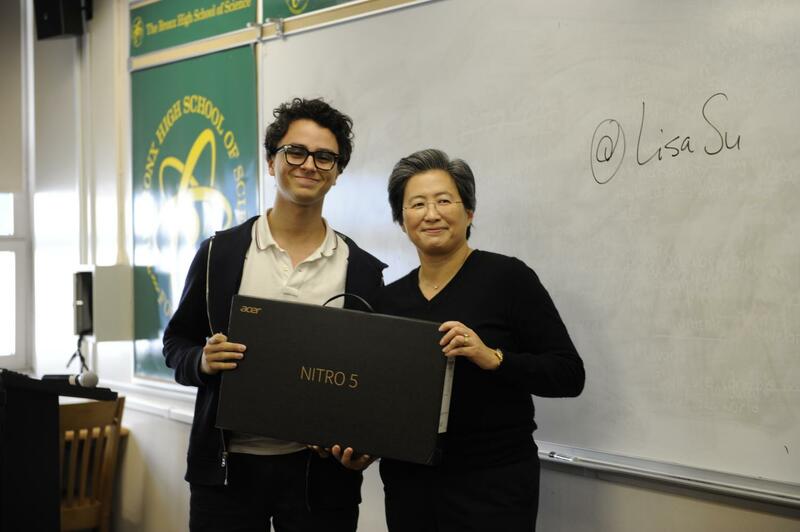 On Tuesday, October 30th, 2018, Lisa Su returned to Bronx Science to meet with current students, discuss her career trajectory, and give tips on success in the business and technology fields. 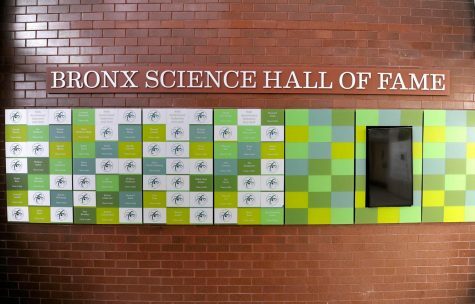 At the conclusion of the day, Su was inducted into Bronx Science’s Hall of Fame. 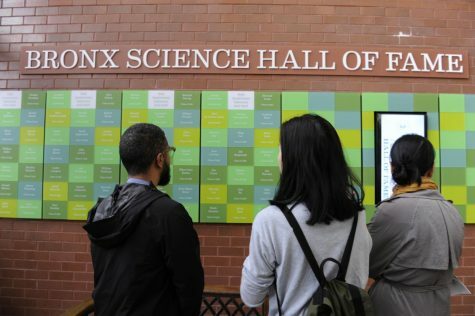 Su credits Bronx Science for her exposure to math and science, where her main extracurricular interest was the Math Team. 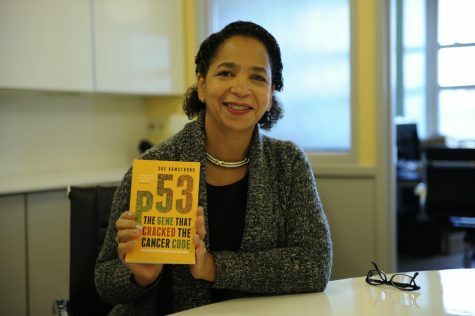 She reflected on the kick-start that Bronx Science gave her career in engineering. “It was good to be around people who were really smart; they help you become better. 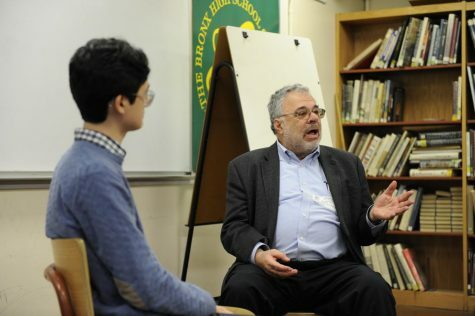 I think that’s what special about Bronx Science,” Su said. After graduating, she discovered her passion for semiconductors as an undergraduate freshman at MIT, due to hands-on experience she received while working in a semiconductor lab. 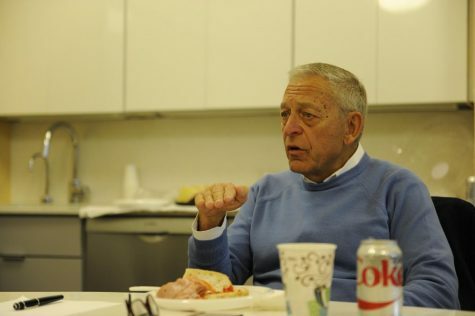 When Su began working for IBM, the company employed 300,000 people. 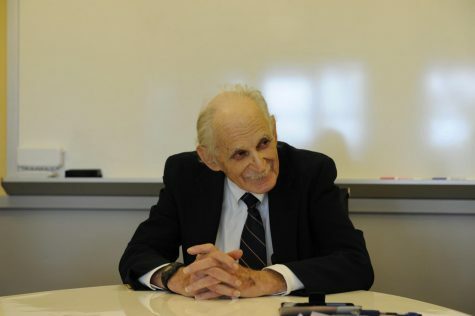 Su recalled thinking, “How was I, a little engineer, going to make an impact on this organization?” In her first year at IBM, she played a critical role in introducing copper technology to semiconductor chips that caused them to perform twenty percent faster than conventional versions. She said that because of this, people started to listen to her. 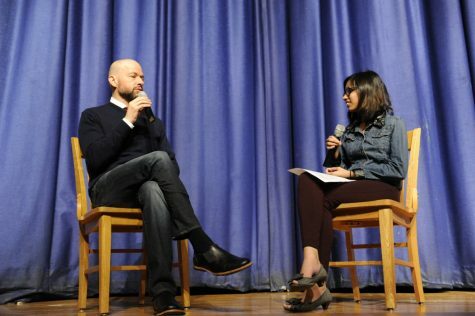 “Don’t be shy, tell people what you think, and tell people your ideas,” Su said. 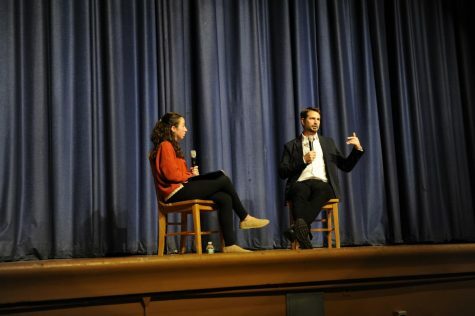 “That’s how you become recognized.” She also said that it is important to start with the notion that all leaders are regular people who distinguish themselves by picking things that people care about and focusing on the problem at hand. Su’s true leadership qualities were revealed at AMD when the company was struggling. As CEO, Su identified and tackled the areas that she thought needed improvement. For instance, she recognized that although engineers dive deep into solving a problem, they also need to understand how things work in corporate environments. Using this platform for change, she placed business strategy and execution as the foremost priority of her employees. She simplified her purpose statement down to gaining customers’ trust and delivering great products year after year. 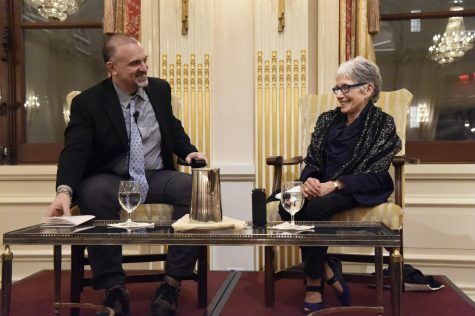 “My belief is that if we did that, people would recognize what we are,” Su said. Her strong stance rewrote the company’s history into a success story in the past few years. “The important thing you have to do is you have to make decisions today that will pay off in maybe three, four, or five years. 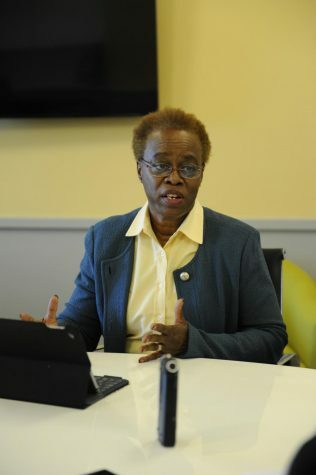 Our goal is to make more right decisions than wrong decisions,” Su said. Her strategy for making right decisions is focusing on intervals of five year periods, focusing on what her competition would not do. 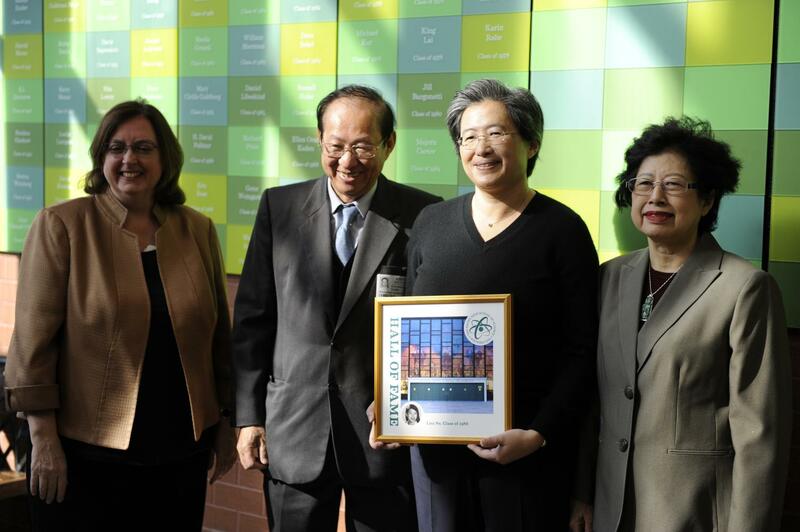 Lisa Su ’86 poses with her Hall of Fame plaque next to her parents and Principal Dr. Jean Donahue. Lisa Su ’86 poses with students in the Hall of Fame after the induction ceremony. Su signs the Book of Honor at the conclusion of her induction ceremony into the Hall of Fame. Su poses with Pascal O’Neill ’19, one of the two winners of her raffle giveaway. The prize was a brand new Acer Nitro 5 gaming laptop.